For today he have our tennis prediction for online betting! Novak Djokovic comfortably dispatched compatriot Dusan Lajovic, 6-2 6-1, when they met for the first time at Doha in 2015, and that’s what a fully fit Djokovic can do to Lajovic every time. However, the Serbian #1 is nowhere near his best at the moment (highly motivated but low on confidence), and this will be his first match on clay since the French Open 2017. Lajovic has already played six matches on clay in 2018 (3/3, four tournaments) and he will be confident going into this contest. Novak Djokovic is still struggling to achieve the desired results on his comeback, and he is currently on a three-match losing run. The last time he lost three matches in a row was way back in 2007, against David Nalbandian (Madrid Masters), Fabrice Santoro (Paris Masters) and David Ferrer (World Tour Finals). He went onto lose two more matches as well, making it five consecutive losses. 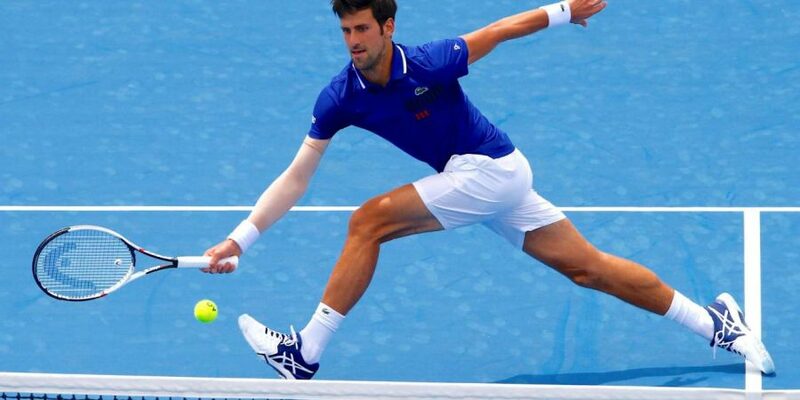 Djokovic ended his 2017 season after Wimbledon and made his comeback at the Australian Open where he reached the third round, but since then, he has faced disappointing defeats against Taro Daniel (Indian Wells) and Benoit Paire (Miami). After the string of poor performances and results, Novak Djokovic has ended his working relationship with Radek Stepanek and Andre Agassi after the Miami Open (they all started working together only a few months back). The former World #1 is now reunited with Marian Vajda, with whom he achieved incredible results on tour over the years. In fact, it was when working with Marian Vajda that Novak Djokovic did the hardest task in Men’s tennis by defeating Rafael Nadal in the final of Monte Carlo 2013. He won this title for the second time in 2015, after defeating Rafael Nadal in the semifinal. Novak Djokovic made at least the semifinal of Monte Carlo in every season during the period between 2008-2015 (seven consecutive seasons) but lost to Jiri Vesely in the first round of Monte Carlo in 2016 and David Goffin in the quarterfinal of 2017 edition. Dusan Lajovic registered two straight set wins over Hugo Nys and Sergiy Stakhovsky in the qualifying stages to secure his maiden main draw berth here at Monte Carlo. With these two wins, he took his 2018 tally to ten wins and eight losses (10/8). Lajovic entered Monte Carlo twice in 2014 and 2017 but failed in the qualifying stages without securing a win, against Romain Arneodo and Sergiy Stakhovsky. Dusan Lajovic made a poor start to the season but has gathered some momentum by winning the title at Le Gosier Challenger earlier this month. He is currently on a seven-match winning run (including six straight-set wins).